with our ultimate adrenaline-pumping blast! 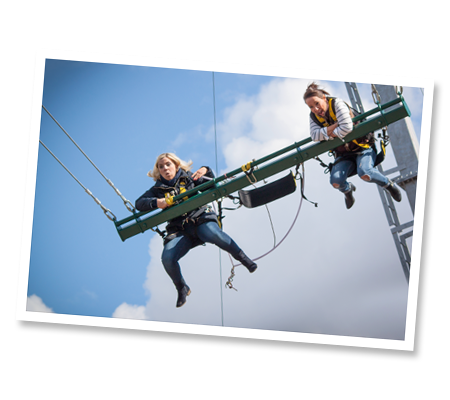 After the initial terrifying drop, you'll launch into the air, feeling the G-force as you swing up into the sky, 245ft over the steep quarry edges of the UK’s Deepest Inland Dive Site. 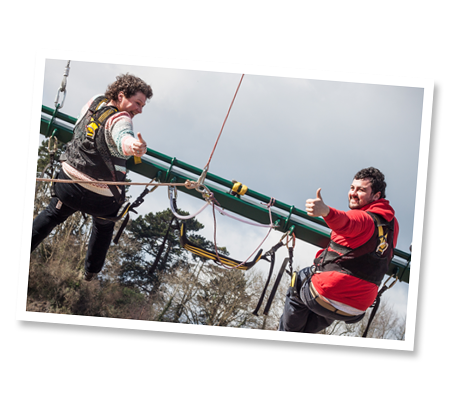 The Giant 3G Swing activity takes place at the National Diving & Activity Centre, near Chepstow. The NDAC is home to the UK's deepest inland dive site and one of the UK’s Longest Zip Wires. We have a range of other exciting activities you can try including Kayaking, Stand Up Paddle Boards and Flyboards. We also have a Wooden Wigwam Village and fantastic View Cafe Bar if you want to make a weekend of it. Upon arrival you will be directed where to park and book in. Once you have booked in, completed all the necessary paperwork and issued with your wristband you can make your way over to our giant 3G Swing. We suggest heading over to the Swing itself around 10 minutes before your flight. After a short safety briefing you are ready to be harnessed up and strapped into the 3G Giant swing as a pair. You will both then be hoisted some 50ft in the air and pulled backwards to the release point. When ready you will then pull the ripcord to release yourself and feel the G-force as you fire up into the sky, 250ft in the air above our quarry. Then you will be momentarily weightless before accelerating through double gravity as you level out at the bottom. Please note this experience during popular times or inclement weather may take longer that you anticipate to swing so please bear with us as sometime factors outside our control do occur from time to time. This exhilarating challenge can also be viewed by loved ones from our viewing area at the View Cafe Bar. 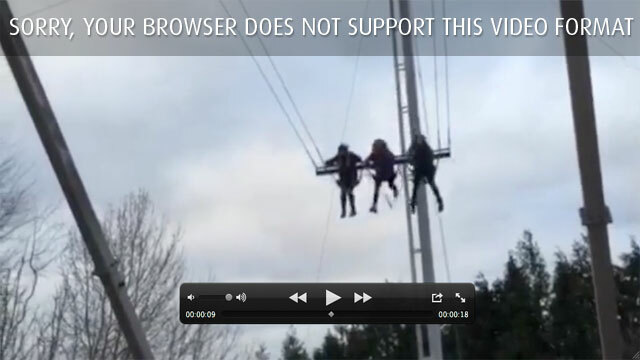 The 3G Swing can be found at the National Diving and Activity Centre, we're on the A48 just outside Chepstow, NP16 7LH. Activities generally run most weekends, bank holidays, some school holidays and occasional mid week dates.